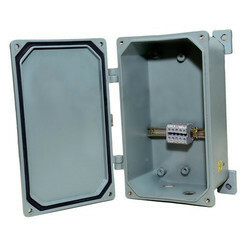 We are leading supplier of FRP Junction Box. This instrument ensures safety, improves life of critical and costly field equipments, helps improve productivity, reduces plant breakdown, improves plant aesthetics, prevent loss due to thefts/storms, maintenance free. AMROCK manufactures a wide range of FRP Junction Boxes using quality material such as Fiberglass and Polyester resin to ensure corrosion and resistance. 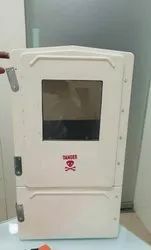 These Junction Boxes are installed at Poles and they carry anti-corrosive, dust proof, rust proof, shock proof, vermin proof and flame retardant property. We are offering FRP Junction Box to our Client.